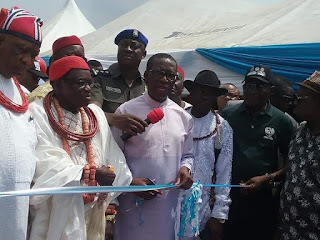 Home Politics Delta State Gov., Ifeanyi Okowa Commissions Road, Market Projects In Isoko North and South LGAs, Says “We’re Constructing Roads To Open Our State To Investors. Delta State Gov., Ifeanyi Okowa Commissions Road, Market Projects In Isoko North and South LGAs, Says “We’re Constructing Roads To Open Our State To Investors. Ifeanyi Okowa with traditional rulers during the commissioning. 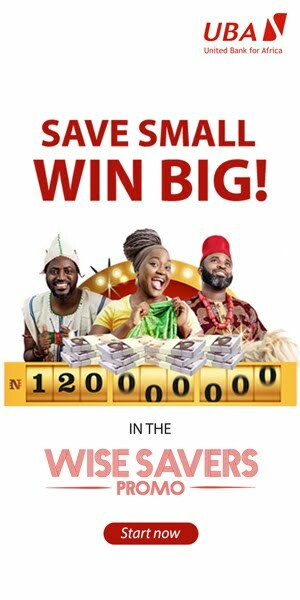 The Delta State Governor, Senator Dr. Ifeanyi Okowa has said his interest in road construction was borne out of the desire to open up the state for investors. 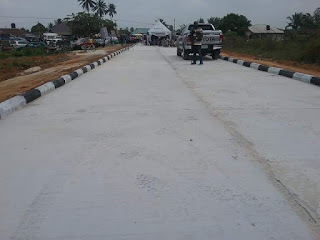 The Governor made the disclosure today at the commissioning ceremony of Emede Ring Road, Emede, Isoko South local government area of Delta State which was constructed by his administration. 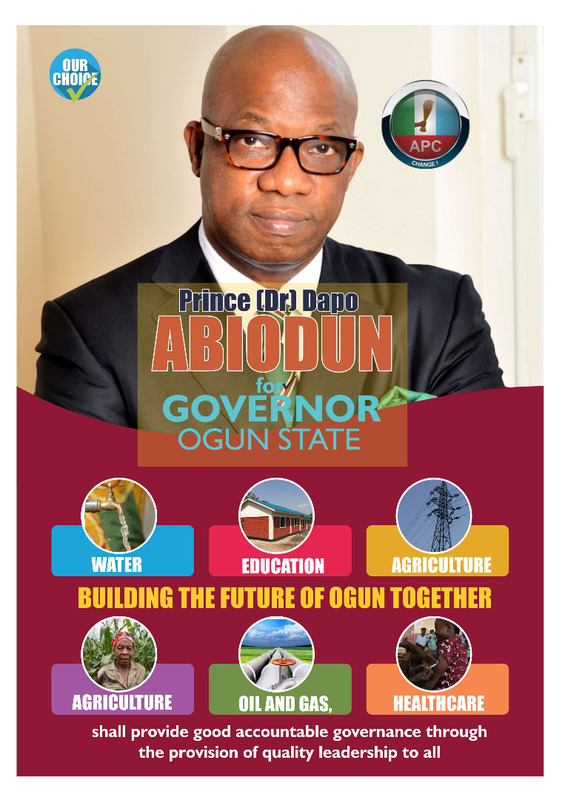 He stated that concrete was used for the construction of the road rather than asphalt as it will last longer due to the terrain, assuring the people that plans are on for more projects to be commissioned. 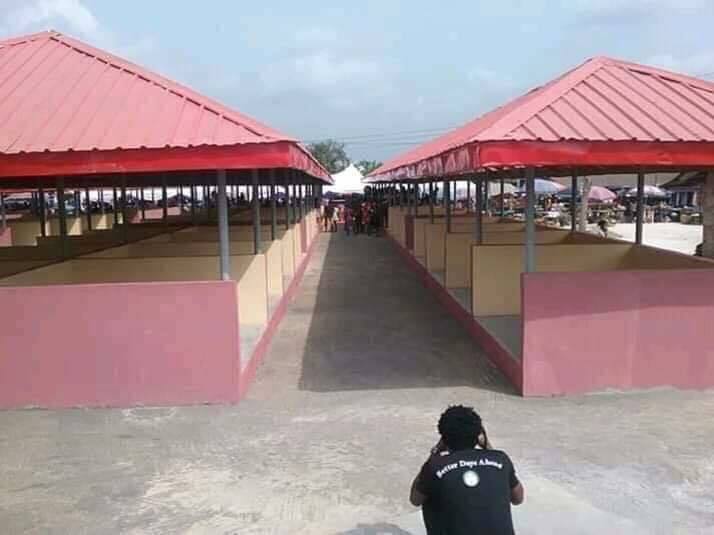 Governor Okowa had earlier, commissioned blocks of stores at Akporio Market constructed by the Isoko North local government council at Ozoro where he restated his administration’s commitment to the completion of the Ozoro Modern Market being constructed by his administration as such would boost the economic life of the people of the area, especially, those in the rural communities. Hon. Nicholas Areh, President, Ozoro Progress Union had in an address during the commissioning of Akporio Market described Governor Okowa as a lover of Ozoro Kingdom whose administration had constructed Urude Township road, Opute Hall, Ekene Street, roads and drains on Egbabor/Olecha Street, Ozoro ultra modern market and the Ozoro/Ughelli dual carriage way that are ongoing. 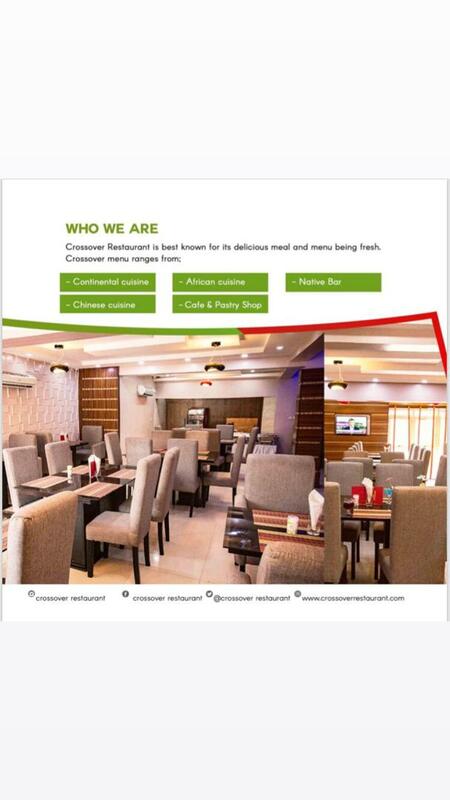 “To whom much is given, much is expected, you (Governor Okowa) have given us so much, come March 9th, 2019 will be payback day for us to deliver our votes to you massively,” Mr. Areh said.